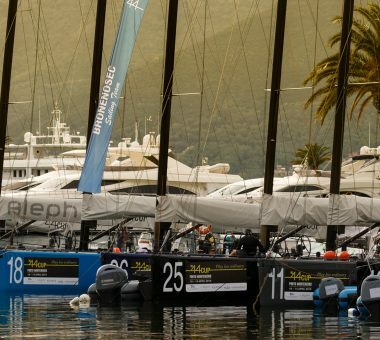 The 44Cup crews were taken out of their comfort zone today for the 44Cup Porto Montenegro navigator’s race, a pro-am event for the usual nine teams, but with more guest racers on board. 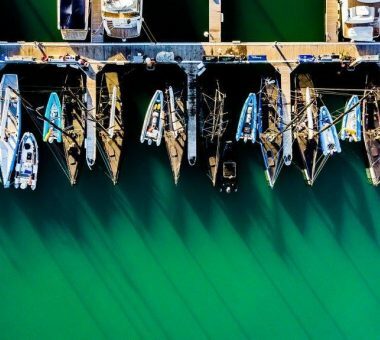 After a wait for the wind to fill in, Mother Nature duly obliged with it arriving from the southeast for the first time this week. 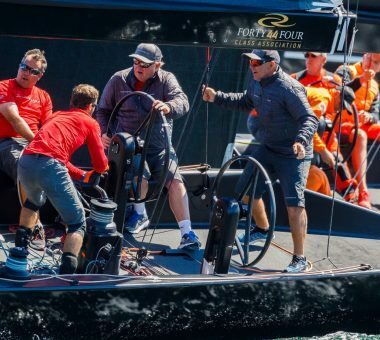 With the navigator’s race taking the boats through the narrow channel between the Bay of Tivat and the Bay of Kotur, the RC44s were set off on an America’s Cup-style reaching start – a first for this in a long time for the high performance one design monohulls. 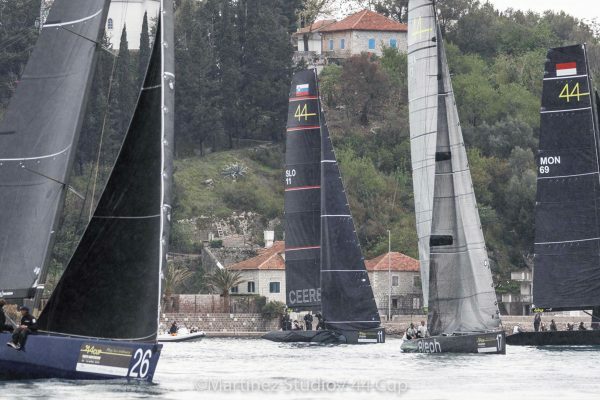 The Bay of Tivat came good for the final day of the 44Cup Porto Montenegro with three races held and a most worthy winner in Igor Lah’s Team CEEREF. 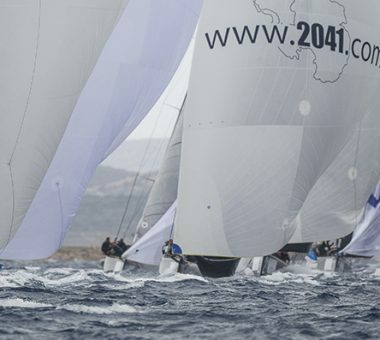 Dramatic cloud formations over the mountains surrounding the Bay of Tivat and an overcast sky suggested that 44Cup Porto Montenegro competitors would be in for another day of adrenalin-filled competition. 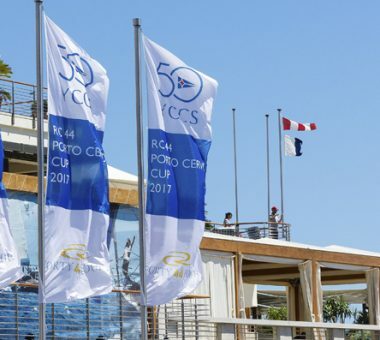 Porto Montenegro presented a challenging second day of 44Cup racing, starting in 10 knots and building to 20 by the close of play mid-afternoon. 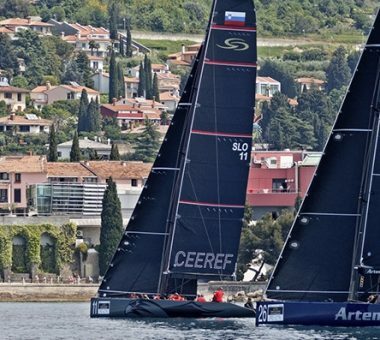 While the forecasts had looked glum and windless, the Bay of Kotor somehow allowed two races on the opening day of the 44Cup Porto Montenegro. 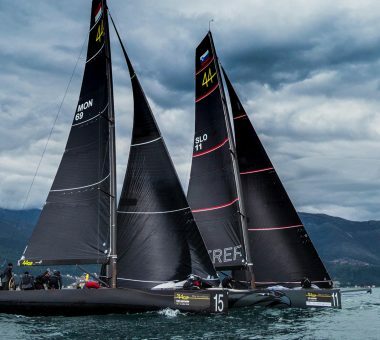 Racing gets underway tomorrow at the 44Cup Porto Montenegro, the opening event of the 2019 season for the high performance RC44 one designs. 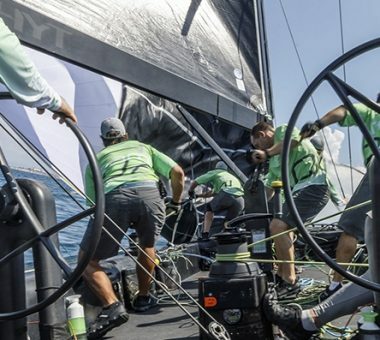 Nine RC44 teams are set to make their debut on the beautiful waters of Kotor Bay. 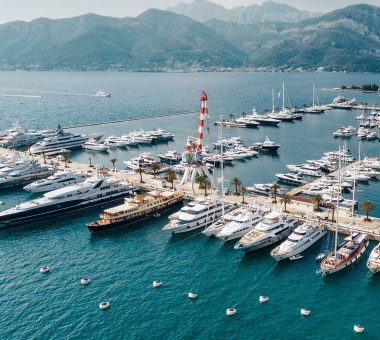 Taking place over the second week of April, 10 to 14 April, the 44Cup Porto Montenegro will be hosted by the world-renowned superyacht marina. 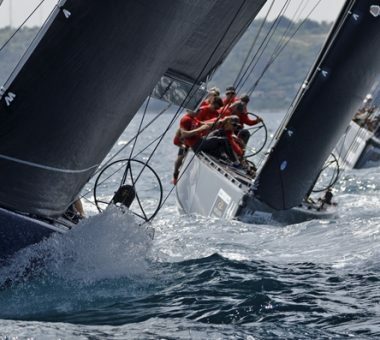 Yacht racing can be a cruel sport, especially when the competition is as close it gets in the 44Cup. 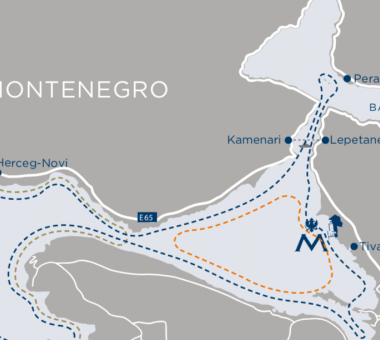 None of the sailors have any previous experience of racing in Montenegro – making it the ultimate test of the team’s skill. 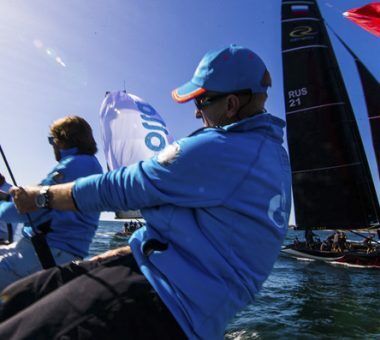 Witnessing how this Russian team in their unique royal blue 44 has developed over the years has been New Zealand America’s Cup veteran and match racer Cameron Dunn. 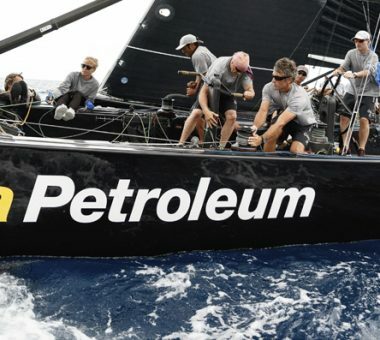 For its thirteenth season, the RC44 Championship Tour has been given a makeover and has been rechristened the 44Cup. 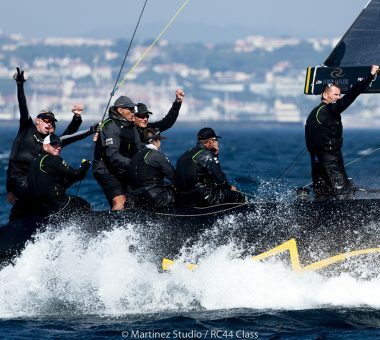 When it comes to racing conditions and the level of competition the final event of the 2018 RC44 season in Cascais delivered big. 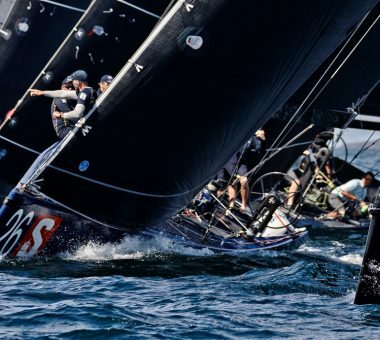 Watch all the highlights from the RC44 Cascais Cup to catch up with all the action from on the water. Enjoy! How things can change. 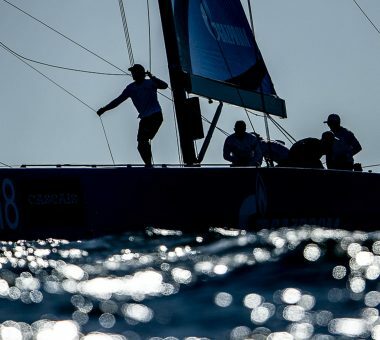 After two light days but with a comparatively large Atlantic swell running, an aggressive-looking cold front off the Portugese coast looked set to make racing impossible on the penultimate day of the RC44 Cascais Cup. 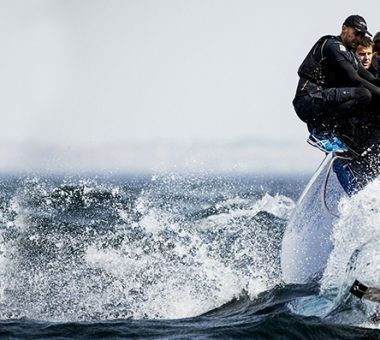 Class photographer Nico Martinez of Martinezstudios.es shares with us a special edit of the best photos from day 3 in Cascais. 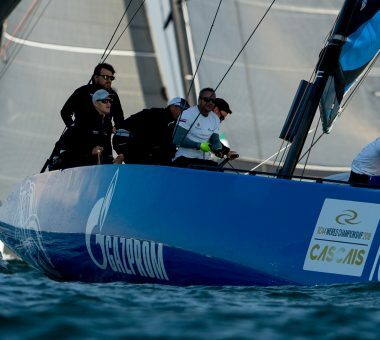 At this half way stage of the RC44 Cascais Cup, Vladimir Prosikhin’s Team Nika is the stand-out leader. 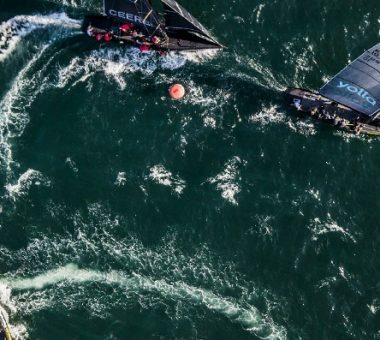 Despite being mid-November, Portugal laid on warm temperatures and light winds for the opening day of the RC44 Cascais Cup. 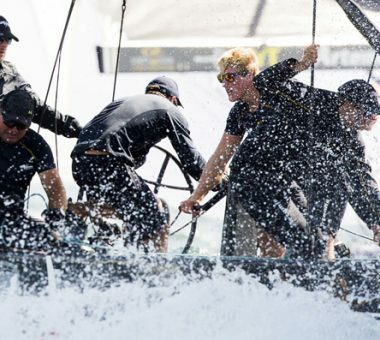 Traditionally the RC44 Championship goes to the wire in the final event of the season. 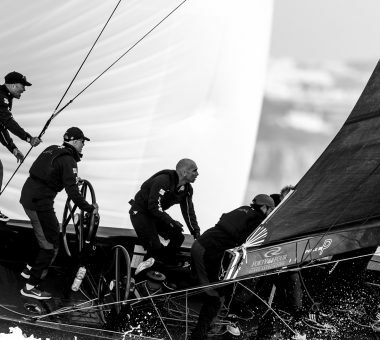 Next week the RC44 fleet will once again take to the waters of Cascais, Portugal, for the final showdown of the 2018 season, over the 14th– 18thNovember. 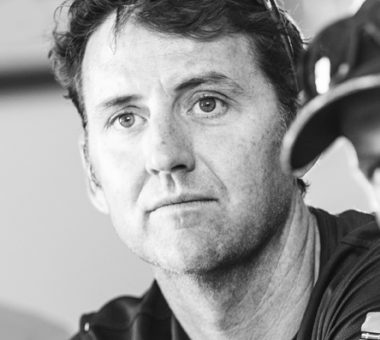 Among the RC44 class’ formidable roster of tacticians, one of the most accomplished is Ray Davies. 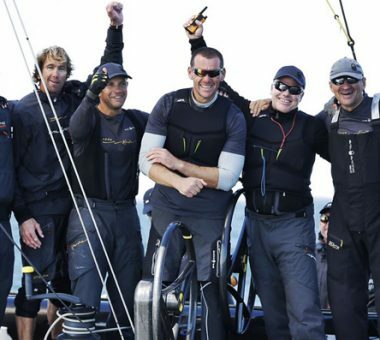 Team Nika becomes the first team ever to claim a hat trick of RC44 World Championship titles. 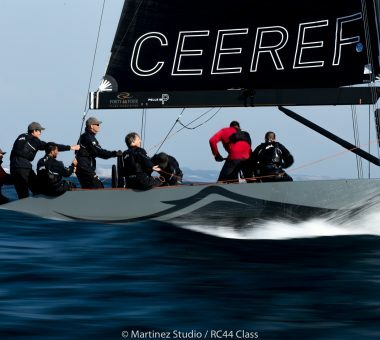 Another adrenalin-pumping, top of the range day off Cascais at the RC44 World Championship saw Igor Lah's Team CEEREF claim two bullets from three races. Owner Chris Bake and tactician Cameron Appleton explain why the sustainability project is important to the team. 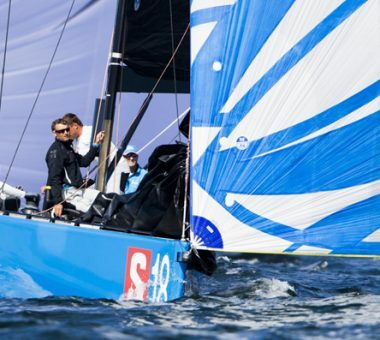 Day two of their 2018 World Championship will go down in RC44 history books with three races sailed at the top of the wind range. After a day of strong conditions we asked our photographer Pedro Martinez of MartinezStudios.es to prepare something a little special. 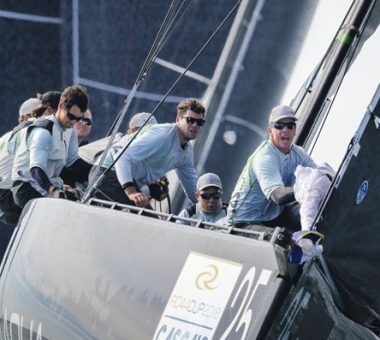 Winning two out of today's three races made Bronenosec Sailing Team the stand-out performer on day one of the RC44 World Championship. 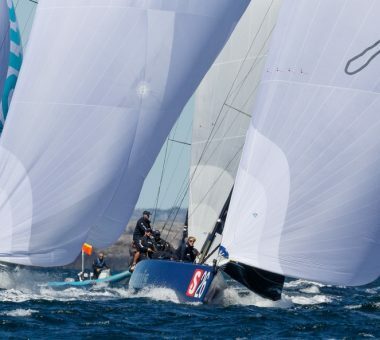 Cascais is a favourite venue for all sailors, but especially those in the RC44 class which has had the Portugese sailing Mecca as an annual fixture for the last seven years. 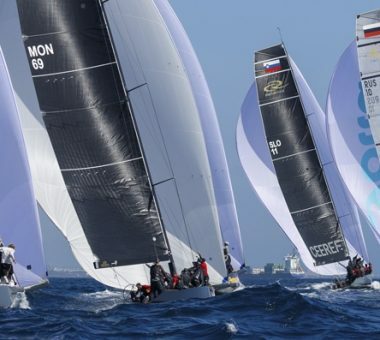 Make sure you don't miss a moment of the 2018 RC44 World Championship. 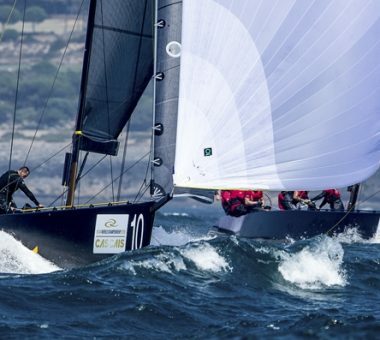 The highly anticipated 2018 RC44 World Championship runs next week in Cascais, Portugal, over 27th– 30th September. 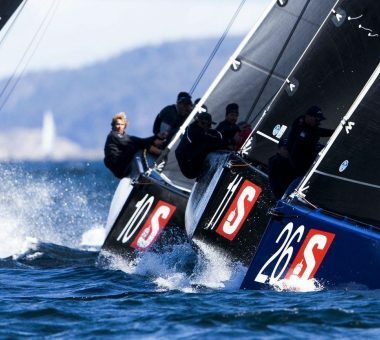 Enjoy the best seat in the house with the Guest Sailor spot. 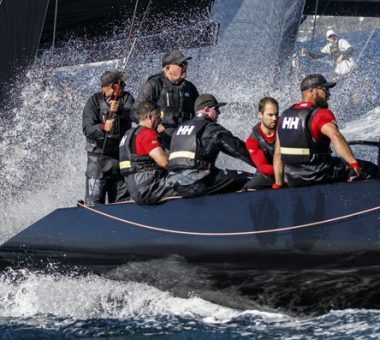 Watch the highlights from the RC44 Marstrand Cup as Dutchman Nico Poons and his crew on Charisma triumphed at the end of a thrilling final day. 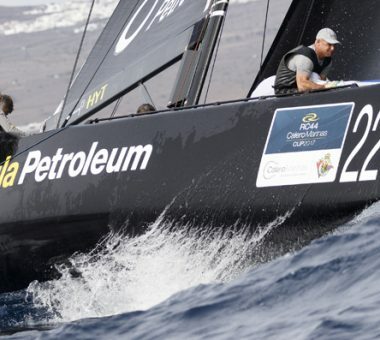 Poons started the day in second place, two points behind overnight leader Torbjorn Tornqvist on Artemis Racing. 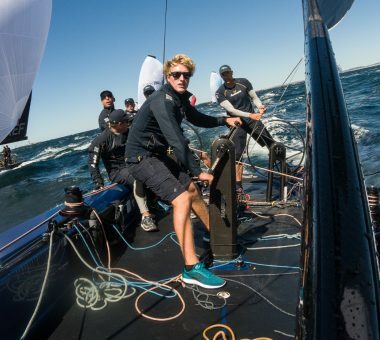 Torbjorn Tornqvist’s dark blue RC44, Artemis Racing,was the top boat on the second day of the class’s Marstrand Cup. Team Aqua has seen 23 young people over five years come through their youth programme, but Sophie is the first woman to take on the role. 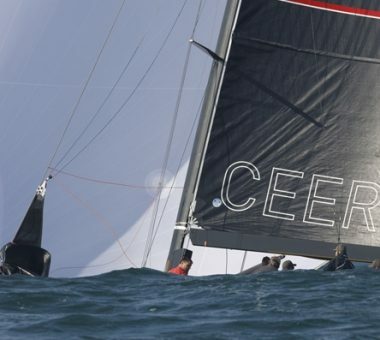 The super-competitive RC44 monohull class enjoyed a cracking day of light-airs racing with Igor Lah's Team CEEREF emerging as top boat. 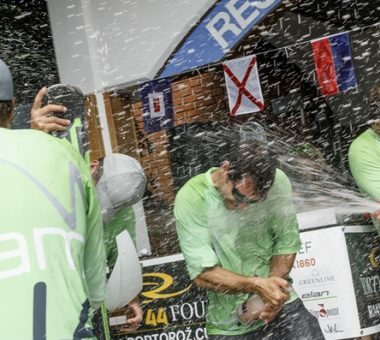 The nine crews are looking forward to renewing rivalries after two successful opening regattas of the 2018 season. 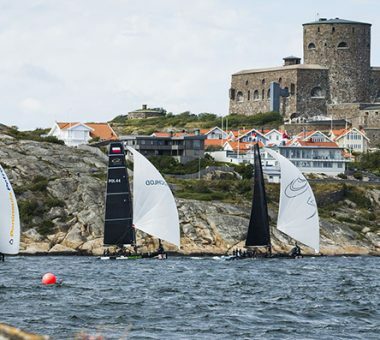 Setting sail from the west coast of Sweden next week will be the RC44 Marstrand Cup. 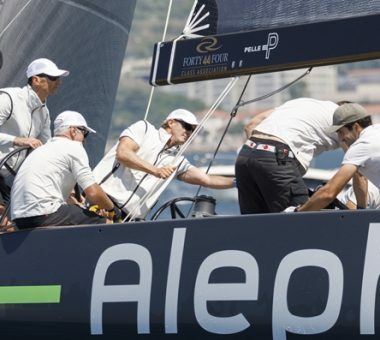 Returning to the fleet after a year break in 2017 is Hugues Lepic and his team Aleph Racing. While to race an RC44 successfully requires a team effort, the most vital position on any owner-driver yacht is the tactician. 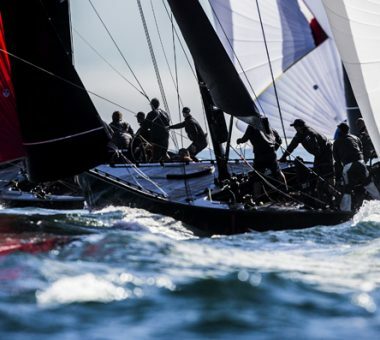 A big part of every RC44 event is the guest programme. 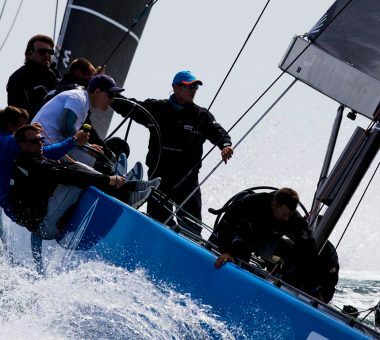 Each day the guests are invited to board the spectator boat and, if lucky, are transferred onto the back of the RC44. 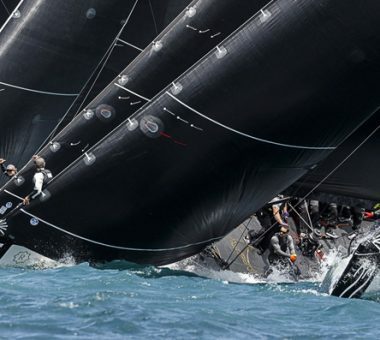 It all came down to the final top mark rounding of the final race at the RC44 Portorož Cup. 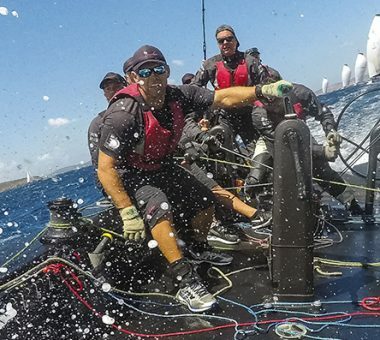 Plenty of celebrations on, off and in the water today for the final of the RC44 Portoroz Cup. 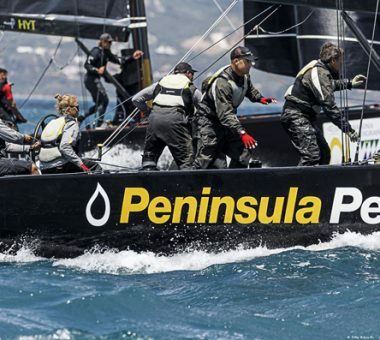 Two new teams added their names to the list of race winners today at the RC44 Portorož Cup. 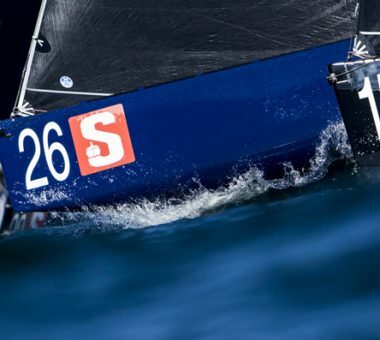 So far in eight races, six teams have scored bullets. 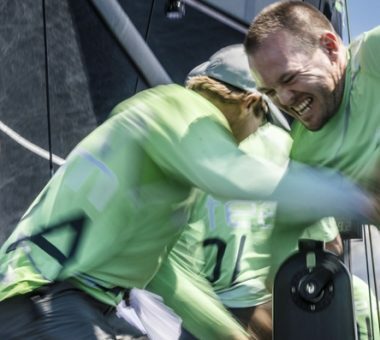 In 12 knot winds and lumpy sea, Nico Poons and Charisma claimed the first race. With the incentive of playing before their home crowd Team CEEREF tops the leaderboard by two points after the opening day. 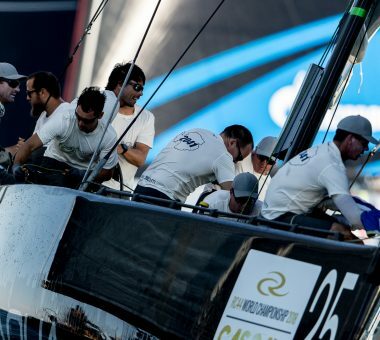 Follow round two of the 2018 RC44 Championship Tour in Portoroz, Slovenia, LIVE from the comfort of your own home. 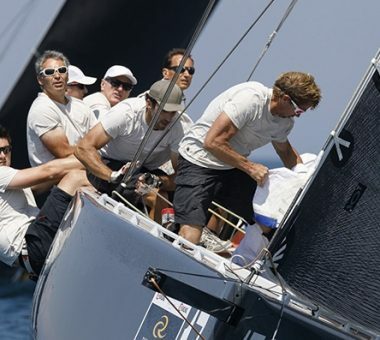 Going into tomorrow’s RC44 Portorož Cup the Charisma crew will have their work cut for them. 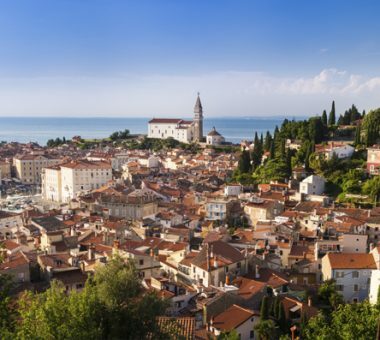 Nine years after they first raced in Slovenia, the RC44 Championship Tour returns to Portorož. 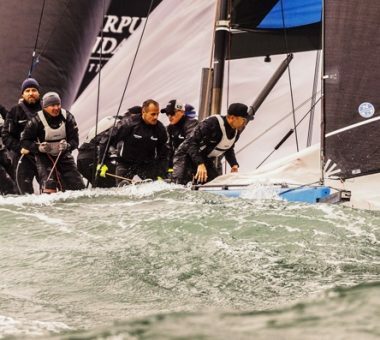 In this world of professional yacht racing there are few inevitables - but it's a pretty safe bet that Tom Burnham will probably be at the next regatta you go to. 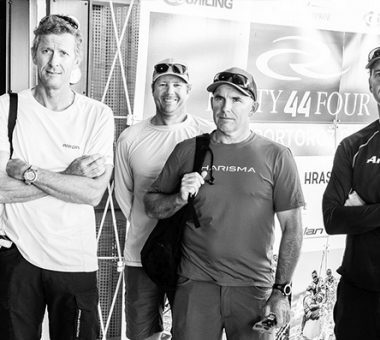 We ask our RC44 pros where they started and what path they took to becoming some of the best tacticians in the world. 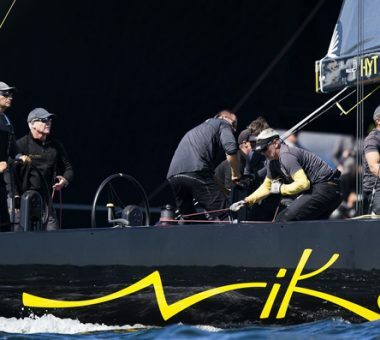 Back calling tactics on board Vladimir Prosikhin’s Team Nika this season is America’s Cup skipper and helmsman Dean Barker. 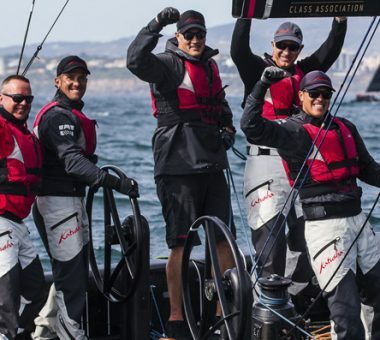 No matter how dedicated to their sport the RC44 owners are, there is still always the odd occasion when they there are unable to attend an event. 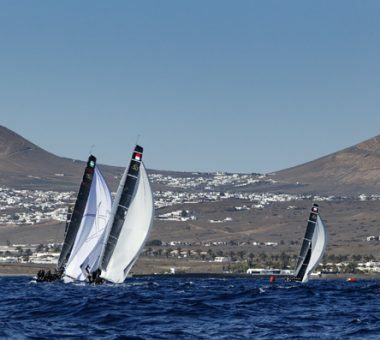 The 2018 season kicked off in Lanzarote for event one, the Calero Marinas Cup. 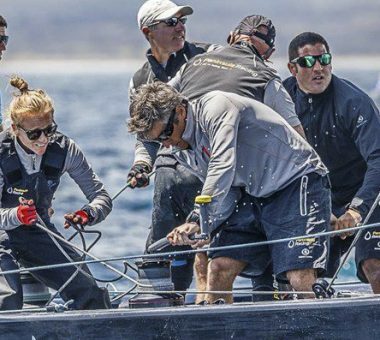 Nico Poons’ Charisma proved today that there is a new player in town, as they clung on to yesterday’s lead to win the RC44 Calero Marinas Cup. 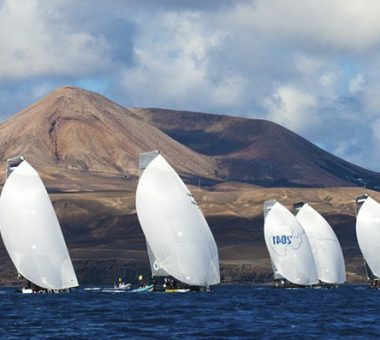 A North Atlantic cold front threatened to wreak havoc over Lanzarote. 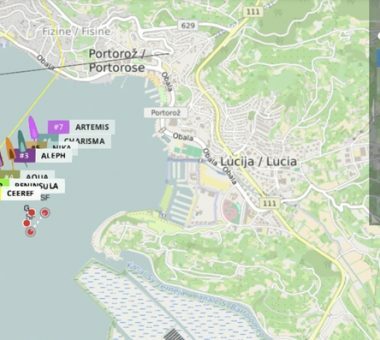 Under brilliant sunshine and winds that started in the sub-10 knot range before building solidly into the early 20s. 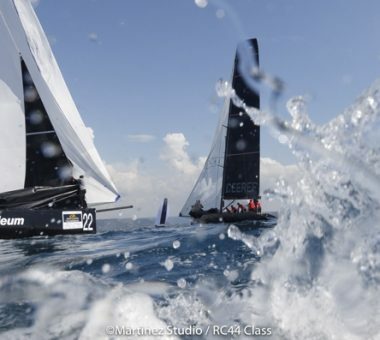 The opening day of the 2018 RC44 Calero Marinas Cup indicated it will be vital to make zero mistakes. 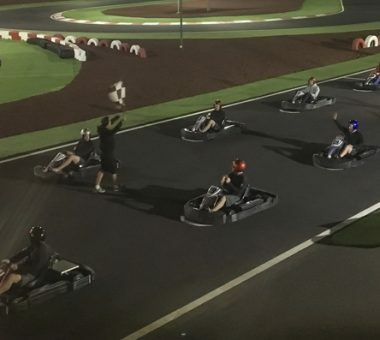 The RC44 sailors, shore crew, team managers and owners took part in the 2018 RC44 Gala Go-Karting Championship. Identifying potential winners and losers from this year’s starting line-up is all but impossible. 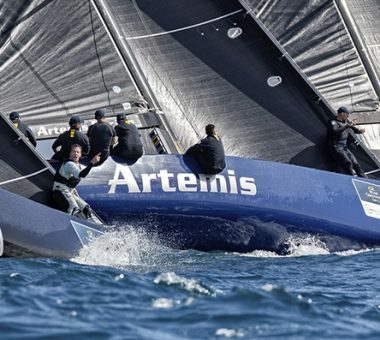 Intense one design competition resumes promptly for the RC44s in 2018. 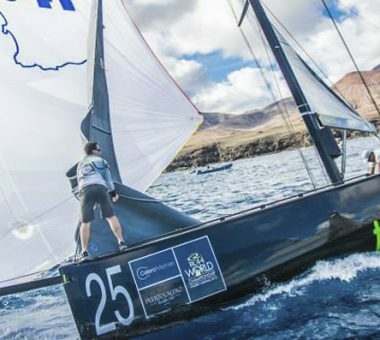 Episode 3 of the RC44 Championship Tour documentary Down to the wire featuring the 2017 RC44 Championship Tour final in Lanzarote. 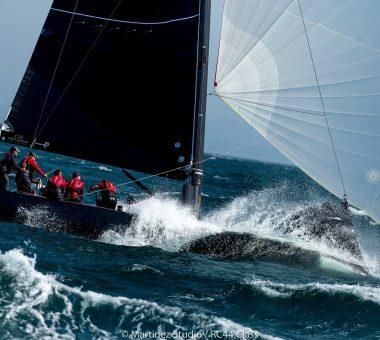 For their twelfth season, the RC44s will visit the four corners of Europe in 2018. 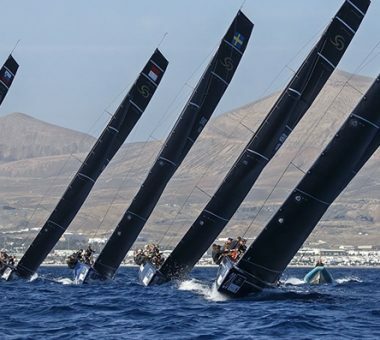 Despite performing dances for the wind gods, the breeze failed to materialise for a second consecutive day at the RC44 Calero Marinas Cup in the normally windy Canary Islands. Earlier this week, Saturday was lining up to be the big wind day. 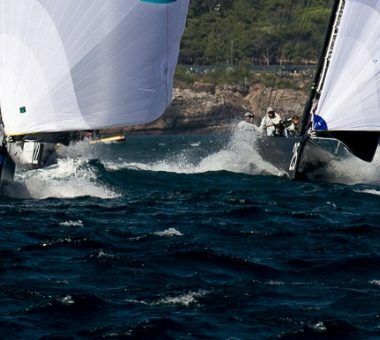 In fact the outcome was the same, only due to a total absence of wind. 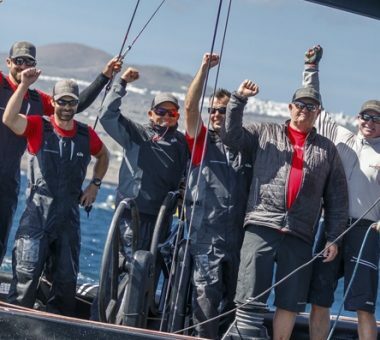 Competition getting closer as the season nears its conclusion, combined with tricky conditions for today's three races off Lanzarote, left the top eight boats ending day one separated by just six points. 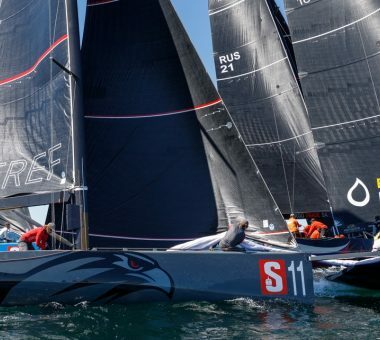 The final event of the season for the Russell Coutts-conceived one design monohulls sees four of the nine teams still able to claim the 2017 title and five capable of reaching the podium. 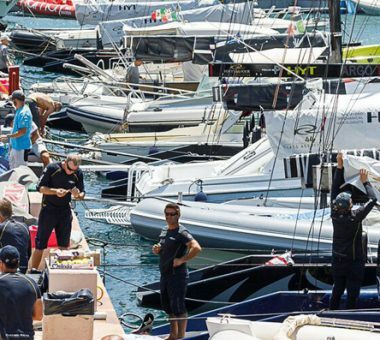 As the nine shore crews prepare to take to the water for the hotly anticipated final, we take a look at how the fleet are stacking up on the starting grid. 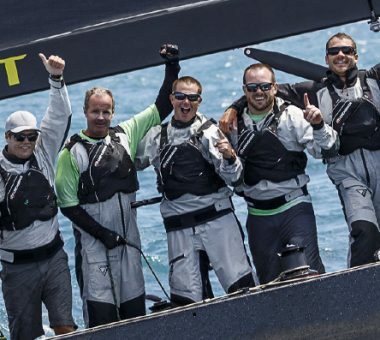 Episode 2 of Down to the wire the Bloomberg Television series about the 2017 RC44 Championship Tour. 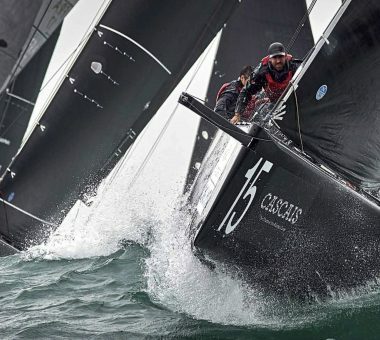 Sailors and spectators will see a double dose of action next month, as RC44 racing is paused temporarily for the start of the RORC Transatlantic Race. 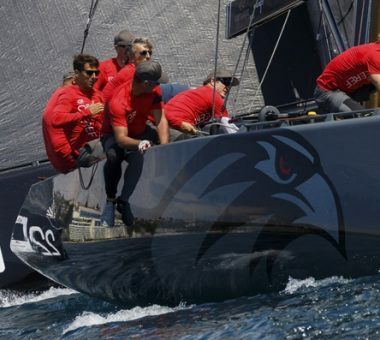 Despite Team CEEREF sailing an immaculate final race, a second placed finish for Katusha enabled the Russian team to win the RC44 Cascais Cup by just one point. 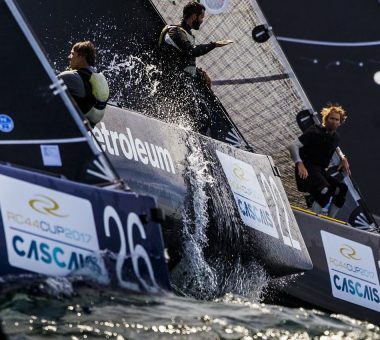 Day three of the RC44 Cascais Cup saw three more teams come to the fore for the first time. 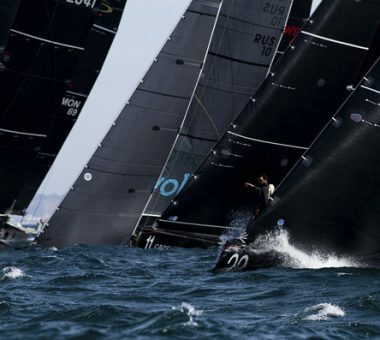 Cascais turned on the conditions for which it is famous – 20+ knot winds and sunshine - for day two of the RC44 Cascais Cup. 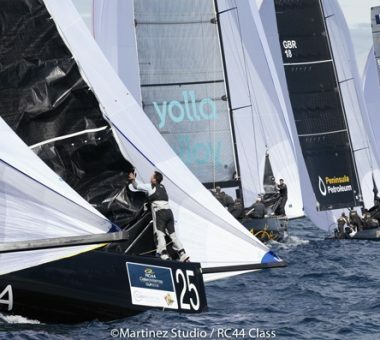 Competition out on the water today proved that it is no aberration that just two points separate the top five boats in the overall 2017 RC44 Championship. 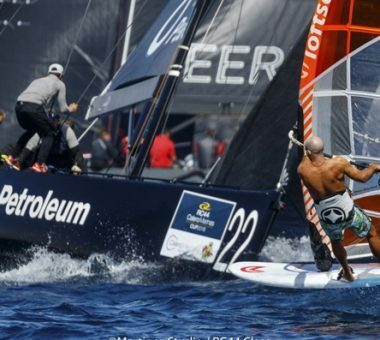 At present the Championship is the closest it has been in the RC44’s 11 year history. 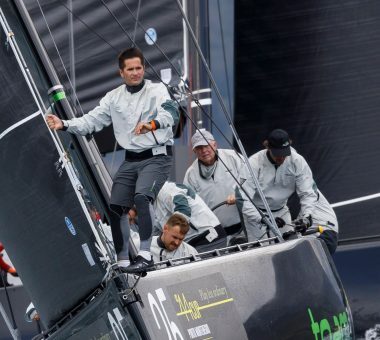 Team Nika has won the RC44 Marstrand World Championship after a dominant performance across the four days of competition. 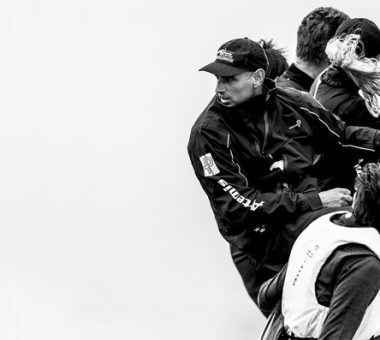 With just one day remaining of the RC44 Marstrand World Championship, can Team Nika be caught for the world title? 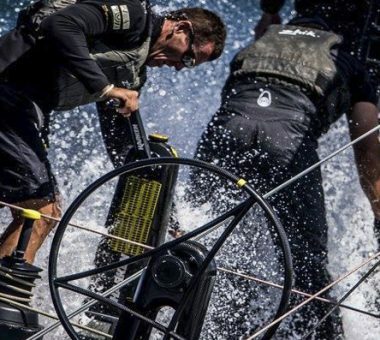 Day two of the World Championship was far too fickle and tricky for any single team to dominate. 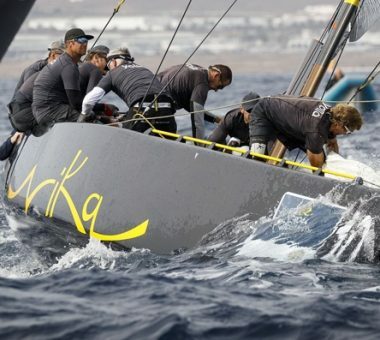 Sometimes success is about being in the right place at the right time, and that’s exactly what launched Team Nika into the lead on day one. 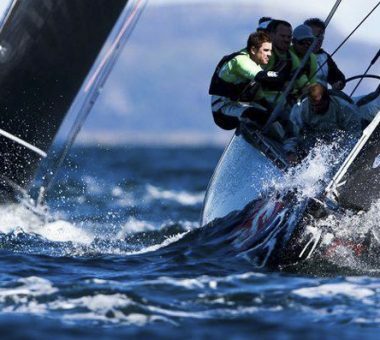 They say that a true sailing champion is one who can master all weather conditions. 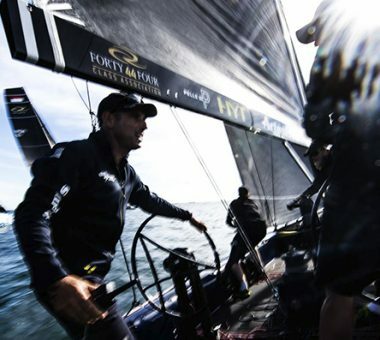 It’s going to take an all-rounder to win the 2017 RC44 World Championship. 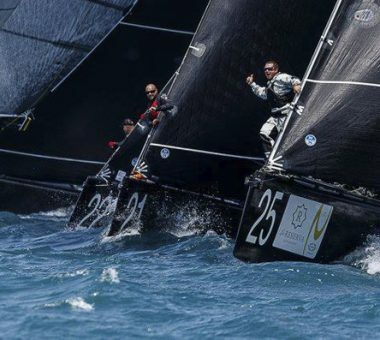 With the 2017 RC44 Championship Tour reaching its halfway mark next week, we take a look at how each of the international teams is fairing. 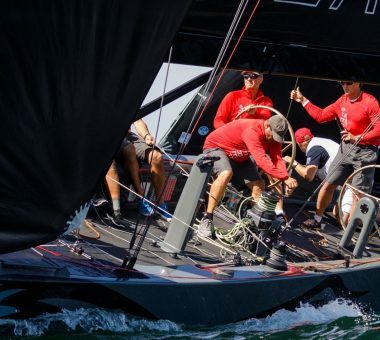 Welcome back to the RC44 Championship Tour documentary Down to the wire. 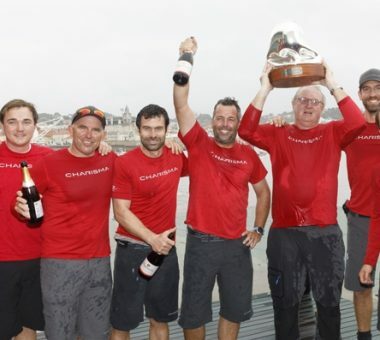 Two full seasons dedicated to the RC44 class paid off today for Katusha, when they won their first ever RC44 Championship event. 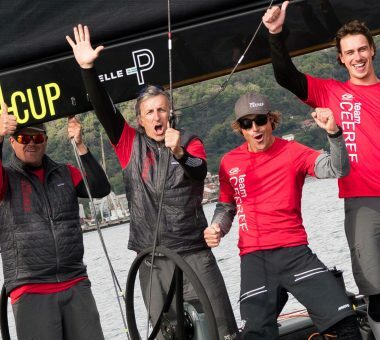 We polled two Italian tacticians and two New Zealand ones to get their views on what might happen and what should happen in this next chapter in America's Cup history. 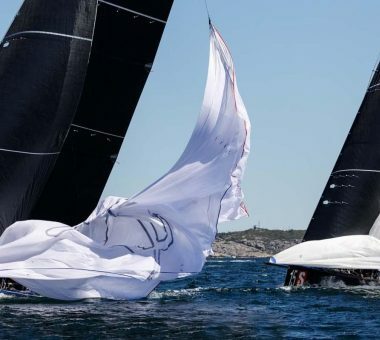 Despite Sardinia returning to more sunny summery conditions, the onset of the Mistral wind resulted in racing being cancelled on the penultimate day of the RC44 Porto Cervo Cup. 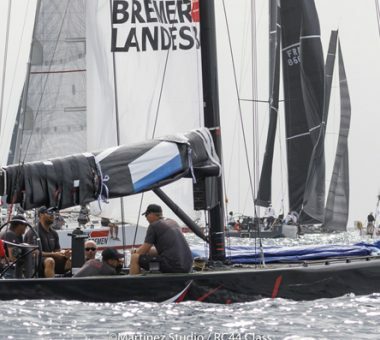 Uncertainly over the weather continued for day two with plenty of excitement and many many lead changes, but it also proved a high scoring day for the nine RC44s. 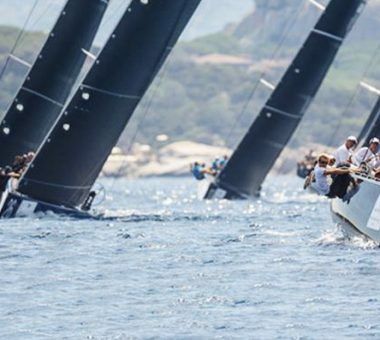 John Bassadone’s Peninsula Petroleum holds a slender lead after three races and considerable patience from race officials and competitors alike on the opening day of the RC44 Porto Cervo Cup. 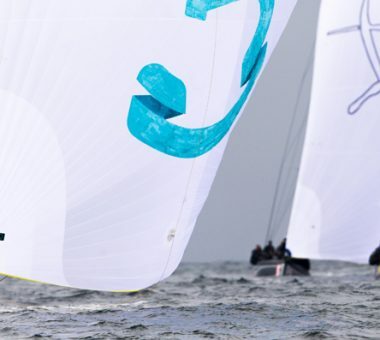 Tomisellie talks to us about what got her into sailing and why her featherlight weight is a secret weapon for her team. 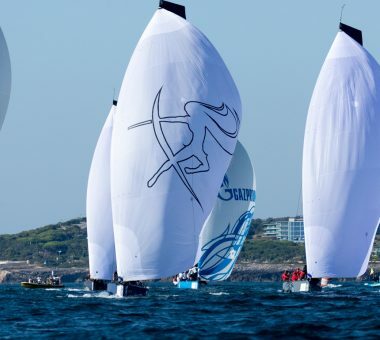 Thanks to its reputation for strong winds and flat water alongside the hospitality of the event's hosts, the Yacht Club Costa Smeralda at their magnificent clubhouse, Porto Cervo annually attracts to the Mediterranean's most prestigious regattas. 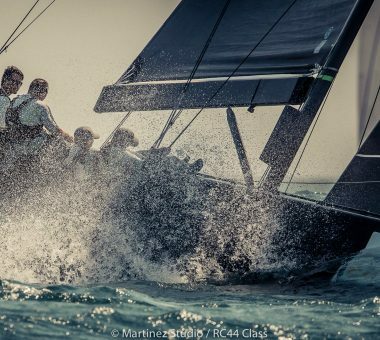 The countdown is on to the second edition of the 2017 RC44 Championship Tour. 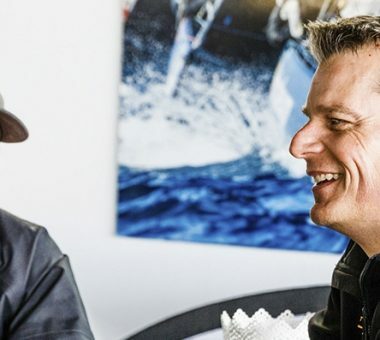 Francesco Bruni tells us how he juggles the demands of switching between helming Artemis Racing’s America’s Cup foiling catamarans and calling tactics on the RC44 circuit. 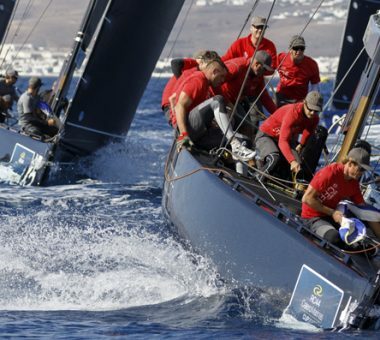 After two severe days, Sotogrande and the Andalucian coastline proved treacherous for the crews with numerous ‘hero to zero’ moments across the fleet. None was worse than that of Team Aqua. 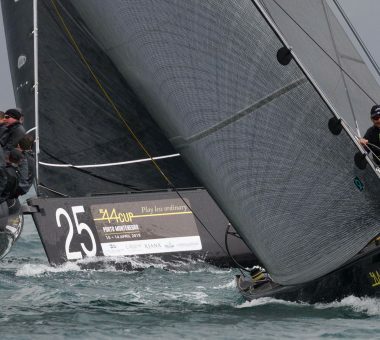 Once again the wind, although shifty, was less of an issue than the sea state, which was initially so massive that the RC44s were disappearing up to their spreaders in the troughs. 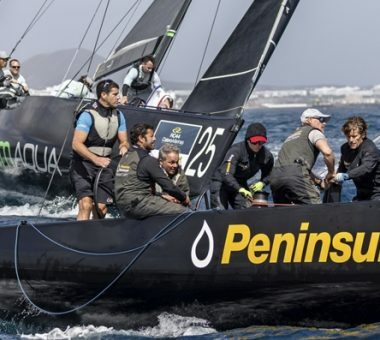 Rain of Old Testament magnitude descended on Spain's Costa del Sol for day two of the RC44 Sotogrande Cup. 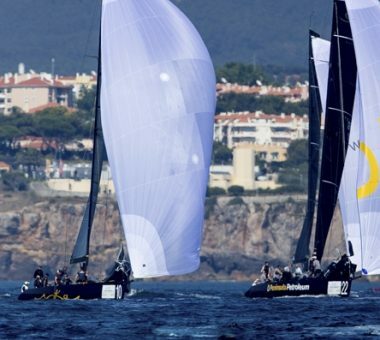 Sotogrande, Spain laid on a tricky first day of the 2017 RC44 Championship.